In light of Wednesday's events, the Congressional Baseball Game has taken on an outsized importance this year. 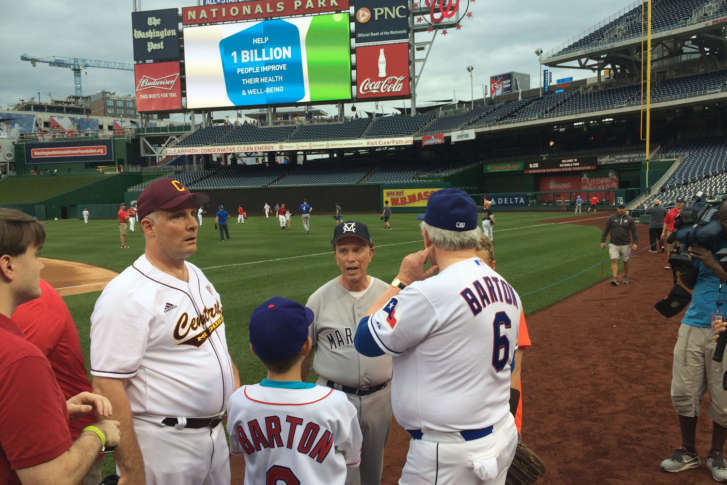 WASHINGTON — This year’s Congressional Baseball Game had plenty of interesting subtext well before this week. With partisanship and acrimony between the parties running red hot, with the all-time series itself tied, coming off a Republican walk-off win last year, there was plenty to discuss. Then, Wednesday, an Illinois man showed up at the GOP practice and fired dozens of bullets, hitting representatives, staffers and Capitol Police officers before he was shot and killed. What was once a D.C.-only, little-known affair outside the Capital Beltway became A1 national news, some anchors reinforcing most people’s unfamiliarity with the event by making the age-old mistake of calling it a softball game. Despite the events just 36 hours before the scheduled 7:05 p.m. first pitch at Nationals Park Thursday night, House Minority Leader Nancy Pelosi declared there would, indeed, be baseball. The game dates back over a century to 1909, though there have been a few years where the event hasn’t taken place. The two sides will meet for the 80th time with the series amazingly deadlocked at 39-39-1. After the Democrats reeled off seven straight victories to take the series lead, the Republicans staved off a late collapse in last year’s game, coughing up a 6-1 advantage, but rallying to walk off with an 8-7 victory. And while the result lends bragging rights to the winner, the game is about far more. Each year, the tickets and sponsorships raise several hundred thousand dollars for local charities, including the Boys & Girls Clubs of Greater Washington, the Washington Nationals Dream Foundation and the Washington Literacy Center. But the game itself stands as a rare, perhaps lone pillar of unity in a deeply divided Washington. Players from both sides agree that fosters bipartisanship through the common ground of baseball. Now, the game finds itself in an unprecedented spotlight, a symbol of something greater than a simple symbolic display of unity. At such a contentious time in our political history, it becomes a platform for Congress to stand up and lead by example. “As a nation, we must recommit ourselves to having and showing empathy toward each other,” said Rep. Tim Ryan, D-Ohio, who plays shortstop for the Democrats, in a written statement for CNN. With not just the eyes of those in attendance, but a nation at large upon them, they take the field Thursday night. Tickets to the Congressional Baseball Game start at $10 and are available online at congressionalbaseball.org. If you can’t make the game, WTOP will have live play-by-play coverage from sports director George Wallace, Capitol Hill correspondent Dave McConnell and yours truly on 1500 AM beginning at 7 p.m.